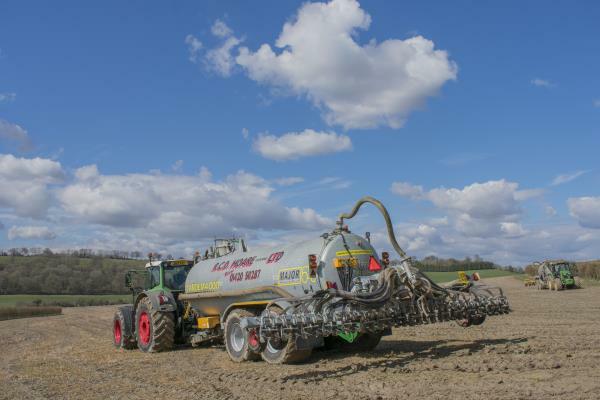 In this blog, Elaine Jewkes, director at British Grassland Society outlines the issue of ammonia emissions in agriculture and explains the political push for reductions to meet targets. The UK is bound by international legal agreements to reduce the emissions of ammonia to the air. Based on 2005 levels a reduction of 8% is required by 2020, with a more ambitious requirement to show a 16% reduction by 2030. Whilst emissions of many atmospheric pollutants, for example sulphur dioxide, have decreased markedly in recent decades, ammonia has declined much less and in 2016 even showed an increase. This means that it is likely to come under the spotlight as the UK looks to reach its targets for reduction. 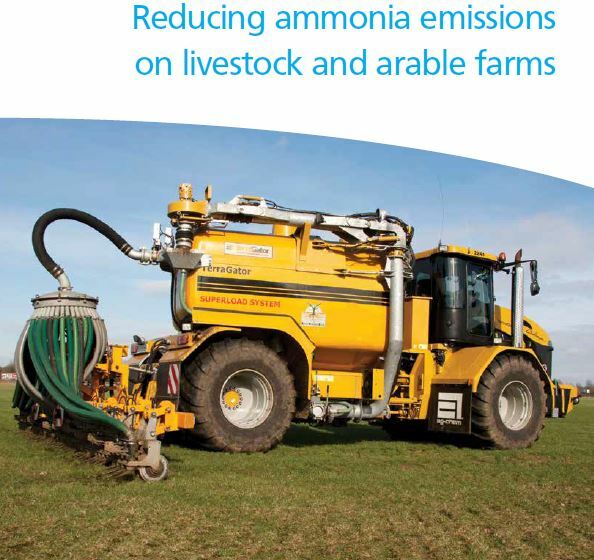 Agriculture accounts for 88% of the UK’s ammonia emissions and so taking action by implementing some good practice measures may help reduce the intensity of the spotlight. Ammonia (NH3) is lost to the atmosphere from slurries, manures, fertilisers containing ammonium or urea and other organic nutrient sources such as digestate. It causes two main problems; it mixes with other pollutants to form ‘particulate matter’ – tiny particles of pollutants that result in poor air quality and can cause respiratory problems. When deposited back from the atmosphere it can acidify soil, as well as adding nitrogen to sensitive landscapes, resulting in declines in biodiversity. Although manures and slurries are a major source, it’s not just a livestock problem. Arable agriculture contributes through use of fertilisers and organic nutrient sources. The good news is that many of the options for reducing ammonia losses can also be cost-effective in terms of nutrient use and management. After all, N that’s going into the air isn’t going into the grass! There are many ways this can be achieved. Reducing the source – that is, the amount of N that could be lost as ammonia – is perhaps the first. So, for fertilisers and manures, ensuring that they are used according to a nutrient management plan and in conjunction with up-to-date soils test results will help to ensure that only the nutrients needed are applied. Feeding should be at optimum protein level to minimise N excretion and appropriate to the age or growth stage of the animal. Obtaining advice from a FACTS and/or FAR qualified advisor for fertilisers and feed can help with this. These cost-effective measures mean that fertiliser and manure nutrients will be used in an integrated way and that no more N, whether as feed or fertiliser, will be put into the system than is necessary, which could also reduce costs. Housing and storage of slurries and manures are a primary source of ammonia. 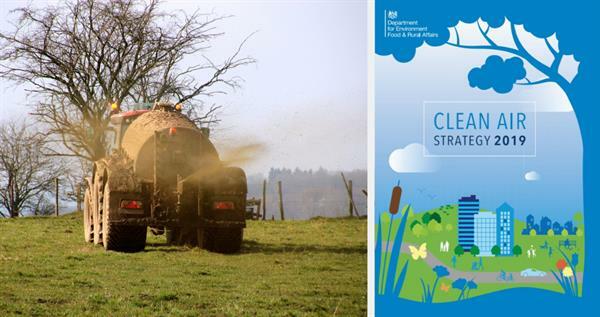 Reducing the amount of, or time that, slurry or manure is exposed will reduce emissions. This means keeping housing and collection areas as clean as feasible, with regular and effective scraping and washing of collection areas. Washing has the downside of creating more dilute slurry so is best used in conjunction with scraping to reduce the amount of water needed or limited to specific areas. Minimising losses from storage relies on reducing the area of slurry or manure exposed to the air. Slurry lagoons and tanks can be covered; there are various types of cover available including flexible and rigid tank covers and floating covers for lagoons. Allowing a lagoon to form a crust does help reduce emissions during the storage period but stirring the slurry afterwards can result in losses. Slurry bags are also worth consideration as a flexible form of storage. Whilst these measures have a cost, they retain N in the system and can help to reduce storage requirements by reducing dilution by rainfall. This can make it easier to store slurries for longer and utilise the nutrients more effectively. Spreading is the other principal loss route and again, minimising the area of slurry exposed to the air helps. So, low-trajectory methods such as injection, trailing shoe or dribble bar are better than a splash plate. They also keep the grass cleaner and reduce odour, so it’s a win-win. Like covers, they do have a cost but the benefits of cleaner more palatable swards and retention of N in the soil can ultimately be very worthwhile. Where possible, such as on tillage, solid manures should be incorporated quickly. Accurate spreading whether of fertiliser or manures is the other part of this equation – knowing how much you are applying and spreading it evenly is vital. Tried & Tested have a range of tools and resources available to enable farmers to utilise nutrients efficiently and minimise pollution.